The Moldoveany family is in danger of losing their estate. Daughter Catalina may have to marry Lord Roma, a strange old man with a not so nice reputation. In this hidden object game, help Catalina find a way to save the Moldoveany estate and an unwanted marriage. The majority of Vampire Brides – Love Over Death is played in hidden object areas. The game has no time limit, so you can explore carefully and leisurely without pressure. Areas that have hidden objects will sparkle with white icons. Each of these areas will have a list of items you will need to find. A hint button is available to help you find items that are difficult to locate. This button will refresh constantly. Certain items that are found will be needed as tools. These things are placed into an inventory screen. To use a tool, click on it and then click on the area where you want it to be used. If you use the wrong tool, it will simply go back into your inventory. To access certain areas, mini-puzzles will need to be solved. 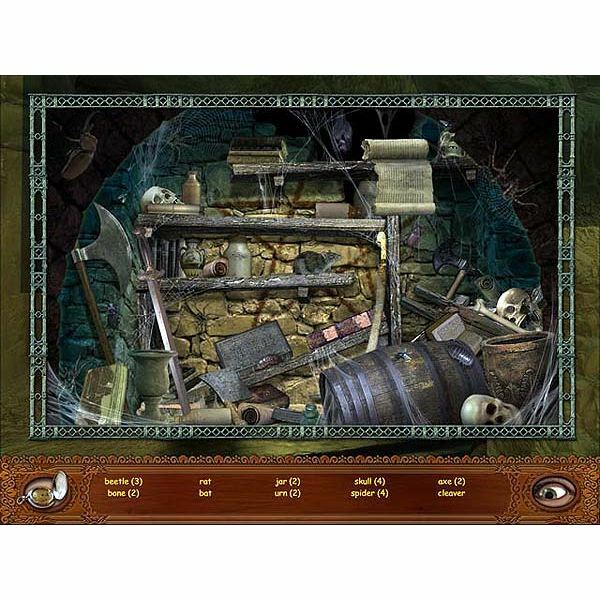 These puzzles are revealed once certain tasks or items have been located. The puzzles can be skipped once the “skip” button is charged. 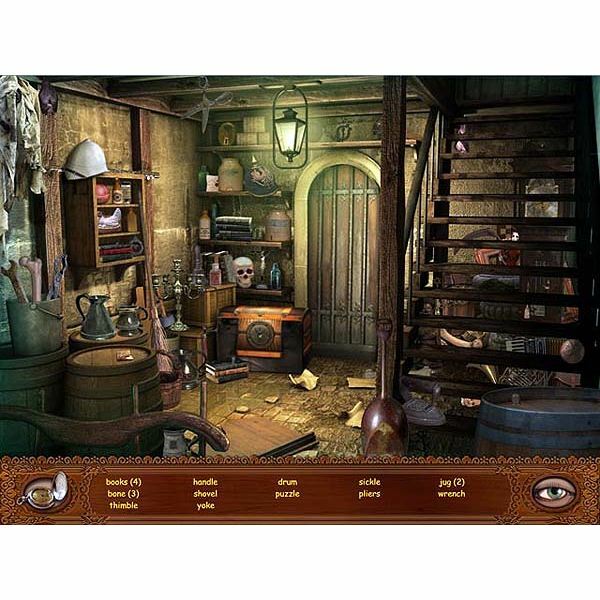 There are five chapters in this hidden object game. When completed, you have finished and won the game. In hidden object areas, always try to find the most obvious items. Use the hint button for items you cannot identify or are having difficulty locating. Some tools have more than once piece. Combine related pieces together by clicking on one of them and then dragging and clicking it onto the other piece. The hint button is ready for use once the eye turns from red to blue. Areas that can be explored will display an arrow icon when your mouse is placed in appropriate spots on screen. These can be in any direction, including diagonal. When you see a magnifying glass icon displayed on screen, this indicates an area that will require a tool. To get the wood for the fireplace, you will need an axe, chopping block area and a log. The log is located in a hidden object area in the shed near the garden. The chopping block is a large tree stump that is found next to the back door area. The axe is by the door. Place the wood on the tree stump, and then use the axe to break it up into pieces. The key for Catalina’s puzzle chest box is located inside the suit of armor located at the bottom of the stairs. To access the key, you will need to find the gauntlet and the armor’s crest shield. The gauntlet is found in a hidden object puzzle. The shield is found next to the door in the hallway that has the small bust statue. *Screenshot images for the Vampire Brides – Love Over Death article were created by Sheila Robinson.